"Boats for Rent" - Oswego Lake. Print of another picture #?. Description Negative and overlay drawing in file. Appears to be a cropped copy of 1067. Also same as 1563. 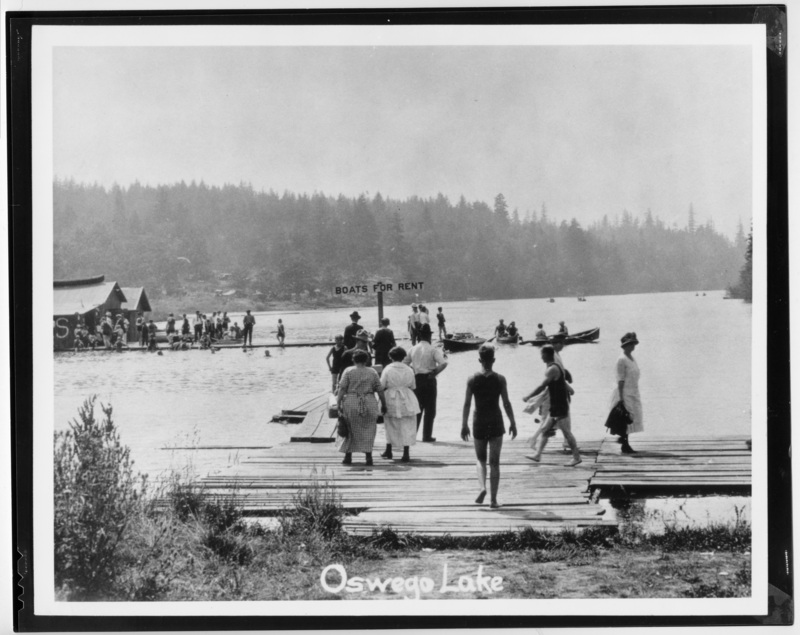 [written on front]: Oswego Lake. [sign]: boats for rent. May be 1923. Transcription "Boats for Rent" - Oswego Lake. Print of another picture #?.